The northbound service drive (Clayton Ave) at the town of Coates runs along the alignment of the original road used by US 52 and State Highway 56 between Hampton and Pine Bend. The old road was replaced in 1947 by a new grade that is still used today as the southbound lane. The old road north of town was obliterated by road crews, although a small private service drive at a farm just north of town may have been constructed on the old grade (see below). 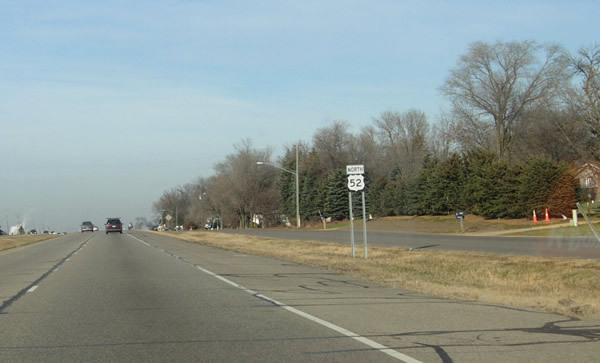 The northbound lane of US 52 was constructed in 1962. The proposed position for the northbound lane surveyed in 1947 was a bit more to the east, and would have probably resulted in the destruction of the service drive. However, the plans were modified to push the two lanes closer together through town. A southbound service drive was also constructed at the time. 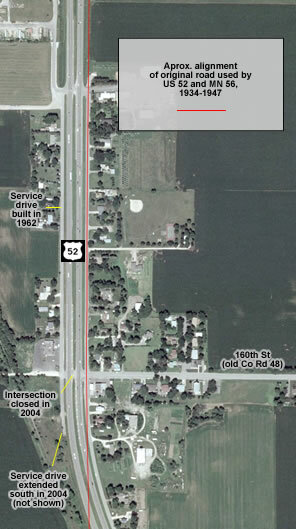 Although the service drives are still accessible on the north side of town, the old intersection at 160th Street (old County Road 48) was closed in 2004 after the completion of the County Road 46 interchange just south of town. The west service drive was also extended south to provide access to the interchange. 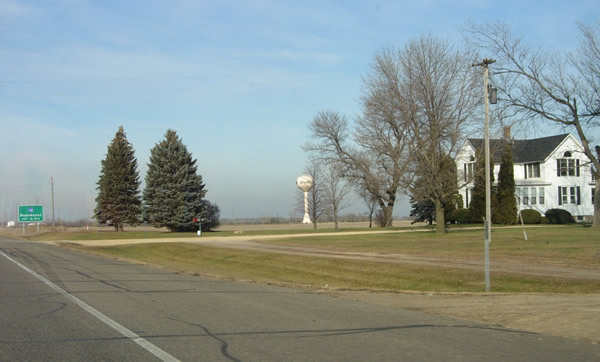 Looking north from modern US 52, just south of 160th Street. Just ahead is site of the former junction with County Road 48, closed in 2004. Its good to see that the gas station is still attracting business after its location became a little less strategic. 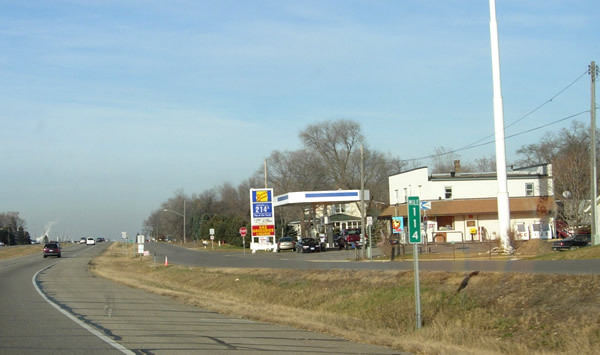 The service drive starts to run on the old alignment of US 52 from about the front of the gas station. Another view of the service drive from US 52 northbound. The small private service drive on a farm just north of Coates. The old pavement was 20 feet wide, so I seriously doubt that the pavement visible is original. The service drive was already here in 1962 according to construction plans for the northbound lane. It is difficult to tell what the exact position of the original road was, and how much the construction of the northbound lane disrupted the old grade here.